As users requested, add words in favourite screen now supported. 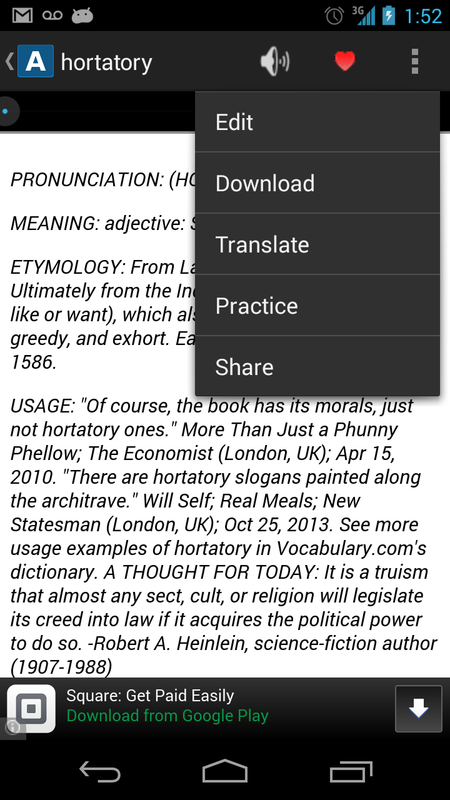 On favourite screen, in context menu, "Add your word" menu has been added. You can add your own favourite word and quiz / share them. Users can edit with "Edit" or turn off heart icon will remove the word. Recently even eclipse LUNA version, hang occurs when launching it. At the message "Android SDK Content Loader 0%". Very annoying and hope it will be fixed soon. Following is work around with the problem. This one could be devastating, because it nullify all project in your package explorer. That doesn't mean all the sources are deleted along, you need to re-create those project entries. I tried to look for a specific project in project list and could find one that cause the problem. After deleting it, eclipse launched as usual.